We understand that our business gives us a unique opportunity to be stewards in the San Francisco community. On different occasions throughout the year, we send certain crews to volunteer at local non-profit organizations. 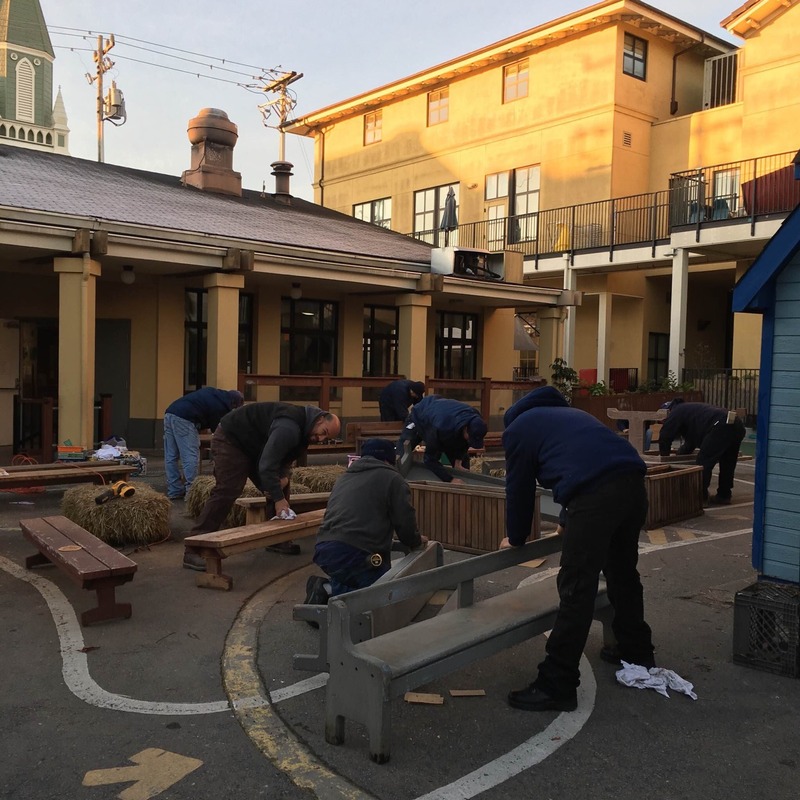 In this photo, several employees refurbished the children’s play yard at Holy Family Day Home. Holy Family Day home is one of the Mission District’s oldest charities and helps families with essential services. Toboni Group founder Joe Toboni is a member of the Board of Directors at Holy Family Day home and in addition to its volunteer work the Toboni Group has committed substantial financial resources to Holy Family Day Home.